In 2016, Express Employment Professionals put 510,000 people to work, ultimately putting food on the table for thousands of families. 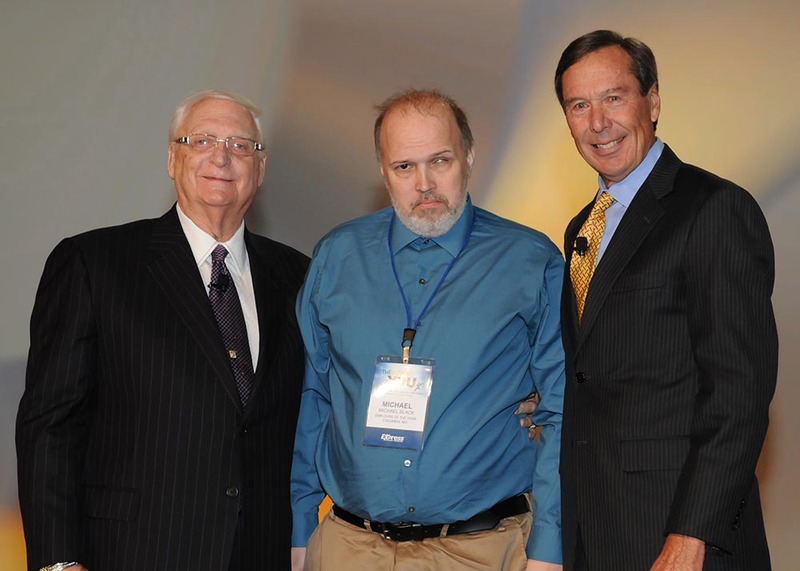 But one man’s efforts to care for his family were so inspirational that he was recently recognized as the Express Associate of the Year at the company’s annual International Leadership Conference in San Francisco. Mike Black began working for clients through the Columbia, Missouri, Express office four years ago and has since completed an astounding 24 assignments. That amount of work would be admirable for average associate, but Black struggles with a disability. He lost his left eye some years ago and is slowly losing vision in his right. He receives a small pension for his disability, but not enough to support his family. Recently, Black has encountered some financial difficulties and has had to sell his house where he lives with his wife, who is also disabled, and their 18-year-old daughter. Express CEO Bob Funk was proud to recognize Black at the leadership conference. Next Post Poll: Which Training Style Do You Prefer?